The spring show, which takes place in April (26-29 April 2018), was rated Britain’s best gardening event by Which? Visit the fantastic new 2018 show gardens along The Avenue for great ideas and inspiration to take home. Our spectacular Plant Nursery Pavilion will host dozens of fabulous displays by the UK's top nurseries. From hostas to hydrangeas and air plants to acers, there are plants for every space in your garden. Exhibitors also offer unrivalled knowledge and experience, so make the most of the opportunity to ask them if you have the right plant for the right place! Highlights from the British social calendar will feature in the flower arranging displays created by *NAFAS flower clubs from across the country. Teams have been asked to choose an event that is Quintessentially British for their annual competition. The spring show hosts Britain's biggest display of flower arranging and floristry, with over 150 fantastic, individual works of art, plus many large scale displays. Themes for 2018 include Artistic Licence, Magician, Nooks & Crannies and Orient Express. Floristry students should be on Cloud 9 with their entries, while titles for experienced florists include Perfect Match, a bridal bouquet, and Knock Knock, a seasonal wreath. Look forward to the fresh taste of spring with a mouthwatering menu of seasonal dishes from our fantastic line up of talented chefs. 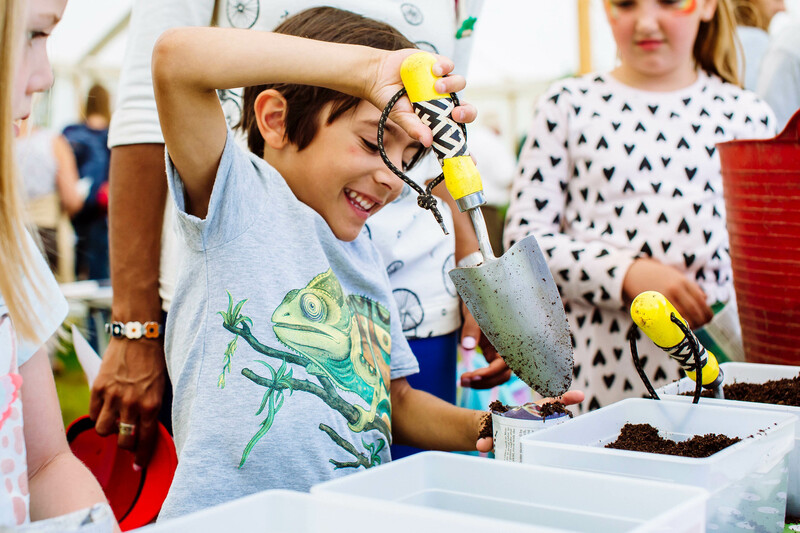 Whether you would like to try something different or learn from last year’s mistakes, join our Kitchen Garden Live team for expert advice and top tips on getting the best from grow your own. Join our experts in the Dig It Garden Theatre for regular talks and demonstrations designed to help you plan your gardening year. If you have problems with pests or pressing questions about planting, there are also regular Gardener's Question sessions each day of the show. Prefer to get gardening advice one to one? Don't worry, the Garden Advice Bureau is also on hand to help out. Our cute and crafty friend, Pod, always has lots of hands-on fun for young visitors to the show. Come along to The Gardening Hall to find out what he has in store for you this spring!